Seventh plays sixth in Group F on Thursday night and both of these teams know that they need a win in this one to raise their chances of making it into the playoffs. The hosts have a 3-6 record at this point in time while the away side carried a 4-5 record going into the 10th game of the Top 16 campaign. The hosts can take confidence that they managed to win in Greece when these two teams last met. The 72-77 score line was not just vital in grabbing the win, the 5 point margin may come into effect with the head to head record between the two teams. Even if the hosts fall behind, they will be looking to minimise the margin of defeat as much as they can. There is a blow for the hosts in the fact that Darius Miller will be unable to play in this game. He was hugely instrumental in the earlier win in Greece, racking up a total of 23 points in that game. This absence means Patrick Heckmann and Lucca Staiger may have to deliver more than they have done of late. An away win could put the Greek side right in the mix for the playoffs, and they have been playing better in recent weeks. Matt Lojeski is going to be side-lined for this game but with players like Ioannis Papapetrou and Kostas Papanikolaou offering plenty going forward, there should be a lot of scope for the Greeks to impact on the game. 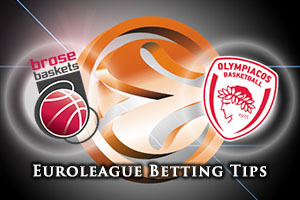 Vassilis Spanoulis is likely to have a huge role to play in this game and he will be going up against his long-time friend Nikos Zisis in this one. The Greeks will think that they can grab the win and get ahead in the head to head with this game, so it should be an interesting game on Thursday night. 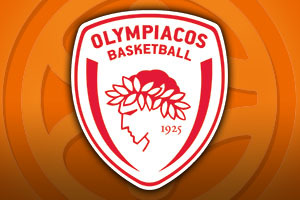 The bookies are backing the Greeks in this one and you can take Olympiacos Piraeus at -3.5, and odds of 1.90. If you are looking for the Over/Under market, look to go OVER 148.5, which you’ll find at odds of 1.90. Bet Now!